At Sites Vision Clinic, we offer comprehensive optometry services in a comfortable setting. Learn what eye care services we offer residents of Clarksville and surrounding communities. Our eye exams check not only eye health but visual acuity. 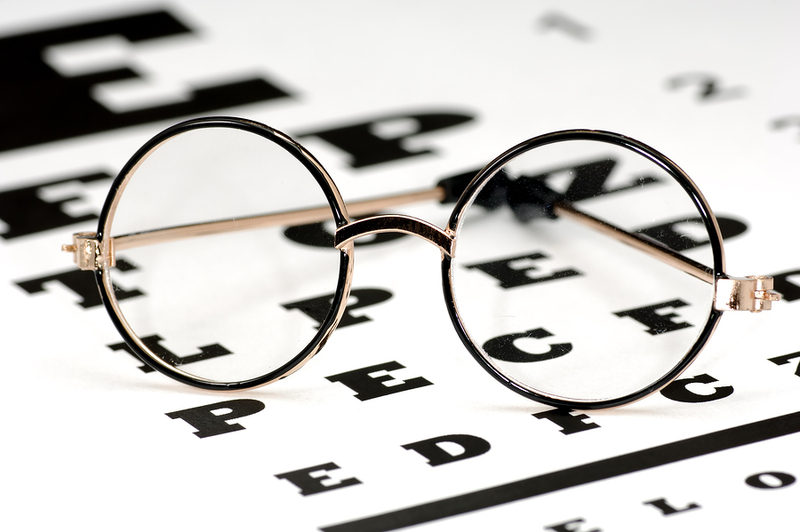 We will screen for age-related diseases and changes to your vision. Early detection is the key to effective treatment for glaucoma, macular degeneration, and other health conditions. If you need new glasses or sunglasses, make us your first stop. We stock all the latest in eyewear trends, both for prescription and non-prescription eyeglass frames and sunglasses. Our optometrist will advise you on the right styles of glasses for your vision needs and face shape, adjust your glasses for the perfect fit, and take care of anything else. Do you have glasses but are thinking of wearing contacts instead? Wondering whether contacts might offer better vision for sports or on the job, but aren't sure how to care for them? Been told that you were "hard to fit" for contacts but really want to wear them? We are here to help. We will do a thorough contact lens exam to determine what types of contacts work best for you. Then we will fit you for contacts to ensure comfort. We'll help you pick out the right contacts, show you how to care for them, and perform follow-up care to make sure you are really happy with your new contacts. Computer usage can cause eye strain and discomfort from the exposure to blue light. Let us make suggestions to reduce computer-related eye strain or fit you with blue light blocking glasses to help curb eye strain naturally. If you play a sport, clear vision can help you perform your best. We can fit you with specialty glasses for hunting and fishing or sports glasses to help you achieve. Besides helping you to live a more active life by prescribing glasses and contacts, we can help screen & diagnose patients for such diseases as glaucoma, hyperopia, presbyopia, vitreous detachment, myopia, macular degeneration, retinal detachment, and diabetic retinopathy, as well as near-sightedness, far-sightedness and astygmatism. If a problem is found, we implement a treatment plan that is uniquely suited to your particular situation. Our caring staff can also provide expert pre-op and post-op care for cataract surgery, refractive lensectomy, LASIK & PRK. Please call us for more information on the symptoms of these and other eye problems or to talk to one of our eye care professionals about how Sites Vision can help you. Contact Our Clarksville Optometrists Today! We recommend that adults have their eyes tested annually to maintain clear vision and good eye heath. If you need an eye exam, or anything else, we encourage you to make an appointment over the phone or via our online appointment request form. Call (931) 647-5237 to make your next appointment and keep your eyes healthy! Your eye health is a very valuable part of your everyday life that most people take for granted. Regular eye exams can help keep your eyes healthy and help prevent and correct any long-term damage. Sites Vision Clinic has experienced professional doctors who can help make sure that you keep your eyesight for as long as you live.